Would you like to be earning more within the next few months? Unlike other training organisations which focus only on passing the AWS Certified Solutions Architect exam we also pay close attention to hands-on skills with our laser-like focus on practical labs which have evolved over the last decade into world-beating manuals which will take you from zero to hero so that you can gain the C AWS Certified Solutions Architect certification and also to acquire all the skills you will need to walk straight into a £50,000 job. Commsupport AWS Certified Solutions Architect course is recognized by students, employers and even our competitors acknowledge (grudgingly) that our courses are very hard to emulate never mind beat. Don’t take our word for it, read our reviews and why not arrange a visit to sit in on one of our classes in person or live on-line and see for yourself, we are so confident we don’t hide how good we are. Do you want to pass the AWS Certified Solutions Architect exam first time? The objective of you attending this AWS Certified Solutions Architect course is two fold first of all to pass the exam and secondly to acquire the knowledge to hit the ground running and start working as a network engineer as soon as possible. We focus on those two objectives throughout the course, with the hands-on labs, our comprehensive lab manuals and post class support. Don’t delay getting that AWS Certified Solutions Architect qualification to increase your earning potential move ahead in a great industry. Contact us today to arrange a visit to our classrooms in person or attend via our live on-line stream. Our AWS Certified Solutions Architect training course will take you from the very start of AWS all the way through the various complex setups and provisioning protocols. During the AWS Certified Solutions Architect course, you will learn all about how to design, configure and install AWS services. Our AWS Certified Solutions Architect course is the only one in the whole of the UK to provide all the features below. We don’t just help you pass your AWS Certified Solutions Architect certification we turn you into a real AWS Engineer. We are the only technical training company focusing not only on passing the AWS Certified Solutions Architect exam but also focusing on ensuring that all our students are put through their paces with our unique comprehensive AWS Certified Solutions Architect Training course Lab manuals and classroom technical practical exercises. Our AWS Certified Solutions Architect Training course lab manuals are a product of nearly 10 years of continuous development. Our AWS Certified Solutions Architect Training course lab manuals are responsible for creating great network engineers. Contact us for a sample of one of our AWS Certified Solutions Architect Training course labs. Your Instructor-led AWS Certified Solutions Architect Training course Is RECORDED from start to finish, That’s right from the first to last, every word and every example and every piece of configuration is recorded in real time just for you, at the end of your course you will have access to the recordings of the class you just attended, We were the first and are the only AWS Certified Solutions Architect Full Course London training company in the world which does this. If you feel you need more time and instruction, you can come back onto the AWS Certified Solutions Architect Training course for free from anywhere in the world provided you have internet access via our unique Virtual AWS Certified Solutions Architect Classroom Setup or come back to the AWS Certified Solutions Architect classroom. When you book your AWS Certified Solutions Architect Training course you can start pretty much straight away if that AWS Certified Solutions Architect Training course is running that week. As a Commsupport student you will have the ability to gain access to our great live-online AWS Certified Solutions Architect Training course Webinar sessions, once again Commsupport is No:1 which we run once a week, this way you are always looked after even when you leave the classroom. Contact us to find out more about our great webinar to complement your Classroom Based AWS Certified Solutions Architect Training Courses. Who is AWS Certified Solutions Architect Training course for? This is an ideal course if you’re looking to become a Network Engineer and or seeking the AWS Certified Solutions Architect Routing and Switching Certification. 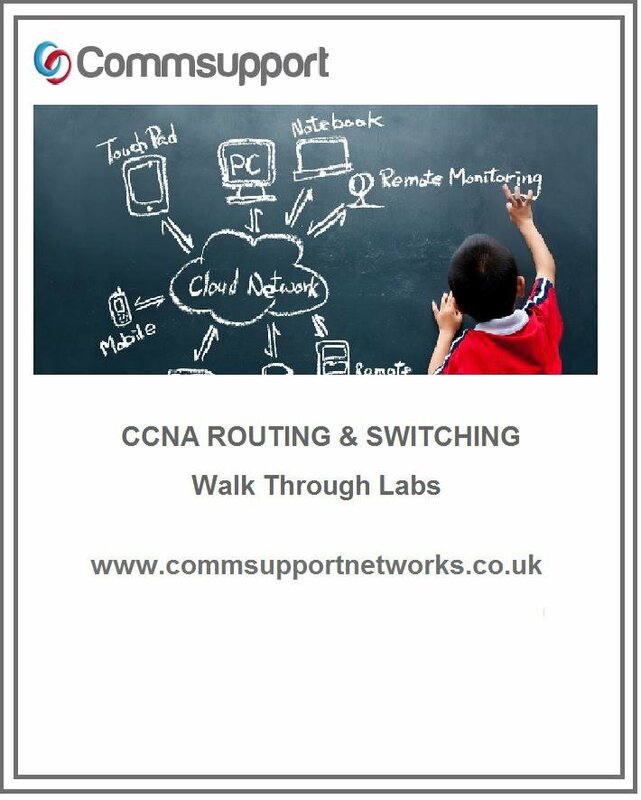 We also recommend the course for anyone involved in the installation and support of enterprise branch office networks. Salary: As a Cisco CCNA engineer, the current median salary in London is £50,000.